Bill Mollison outlined numerous factors that comprise our global climate in his book A Designer’s Manual, which is a relevant topic of discussion these days (2013). I present this here with the intention to better understand the cyclical nature of our climate and that it is bigger than just CO2. 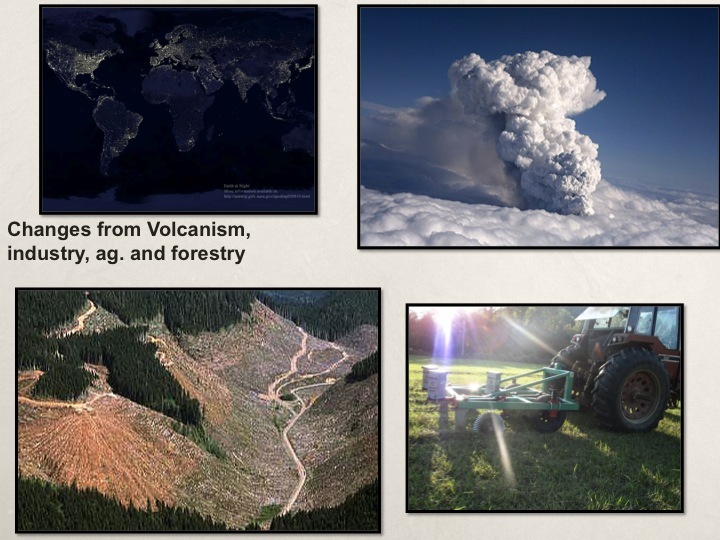 While we play a vital role in our climate these days, still volcanism could trump any of our CO2 efforts quite quickly. 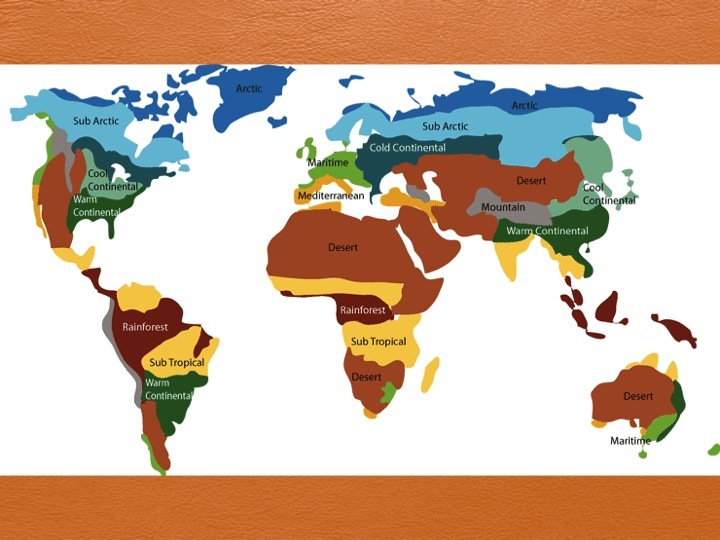 Thus below are a series of pics that reflect the interconnecting factors that give us the mosaic behind temperate and tropical climates, wet and dry, deserts and rain forests on the bigger, macro scale. also have personally witnessed disease issues in seedling trays on full moons and dry season rains on the full or new moon. On a bigger scale and through careful observation over the years, I have also witnessed the following: the hurricanes, that become large shapers of succession in this country (Katrina, Sandy, …), have a run up to the full moon. Their growth seems spurred by the moon itself at times. The Sun–Earth interaction with the Earth’s peculiar tendency to move in numerous directions at once produces climate patterns. When the earth revolves, it produces days of sun and nights of darkness. 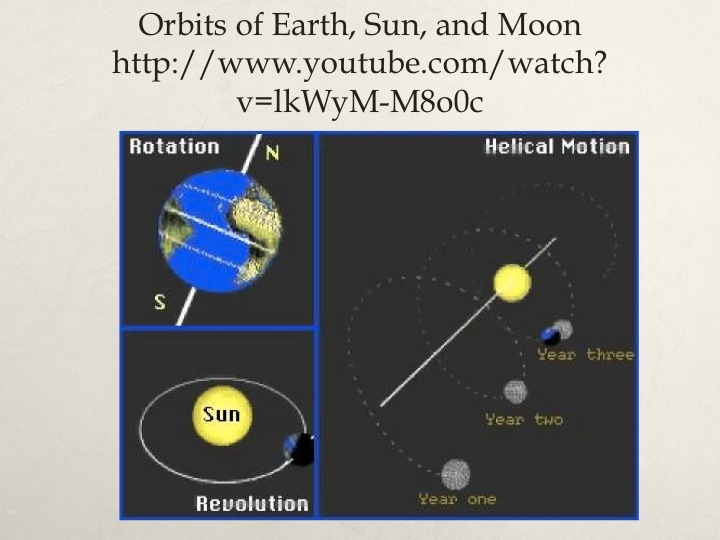 When it rotates or tilts –in combination with its helical motion around the sun– seasons are produced and varying day lengths are associated. The sun is not a static being and the earth itself coils around the sun as it moves through our Milky Way Galaxy. Watch this video for a very brief explanation of it all. The combination of the three motions that the earth shows in the graph above are what is refered to as original motion by Viktor Schauberger, an Austrian Forester and keen pattern recognizer. The last one we will touch on more below but it refers to the magnetic core of the earth. The combination of the three produces free energy, in a sense, which the earth is not connected to any fossil fuel electrical grid yet has an electrical grid boast. 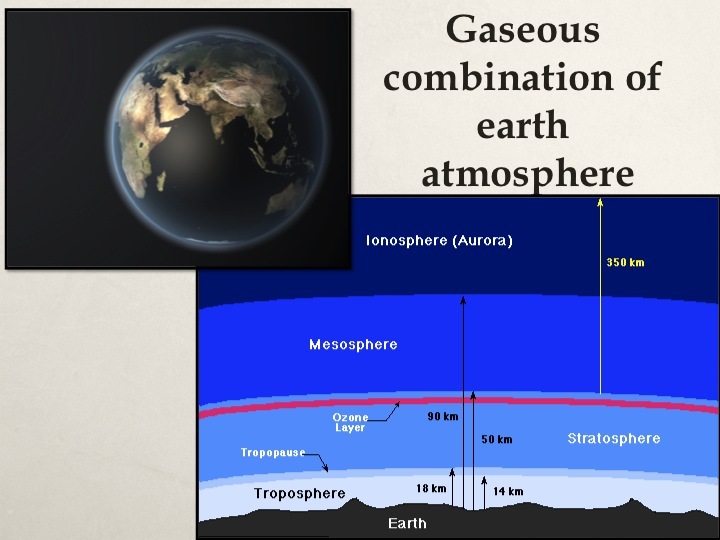 The gaseous combination of the Earth’s atmosphere is the most commonly talked about factor of our climate. It is not just CO2 that forms this very special envelope that gives us a blanket affect for life to flourish on Earth. One of the factors that gives life on this Blue Planet is that there is very little temperature fluctuation on any given day. This is due to the fact that we have multiple layers of gases formulated in way to refract light and insulate. Essentially space is cold and dark and it is this cloak that gives us light and warmth. Our constant release of methane, CO2, and other gases alter this combination and may indeed be changing our climate. This is due –in my belief– to the rate at which it is happening; fast and furious extraction and combustion of fossil fuels. Our climate’s regular patterns are being altered due to our land use and environmental policies. When we cut trees down, we alter the flows of energy on Planet Earth as they are large pumps of energy. This also releases CO2 into our atmosphere and sometimes even methane, depending on the context. This can also be said of agriculture as we either have the ability to waste away carbon reserves with tillage or help to sequester it through keyline sub-soiling or rotational grazing. Furthermore, as the illuminated world map shows below, our wasteful practice of leaving lights on at night, reveals the industrial nation’s reliance on a fossil fuel based technology. Our extraction of this stored sunlight from Earth reserves and its subsequent combustion unlocks a myriad of materials beyond CO2 that we need to worry about. It, however, does alter the gaseous composition of the earth atmosphere and is a worrisome trend. Also volcanism is a major player in the Earth’s climate as the last mini ice age in Europe was caused from this factor about 700 years ago. It alters the gaseous composition of the Earth’s atmosphere by sending giant plumes of ash and gas upward. Essentially our climate could be altered at any second with the advent of a volcano such as the Icelandic one that disrupted air travel a few years back to Europe. 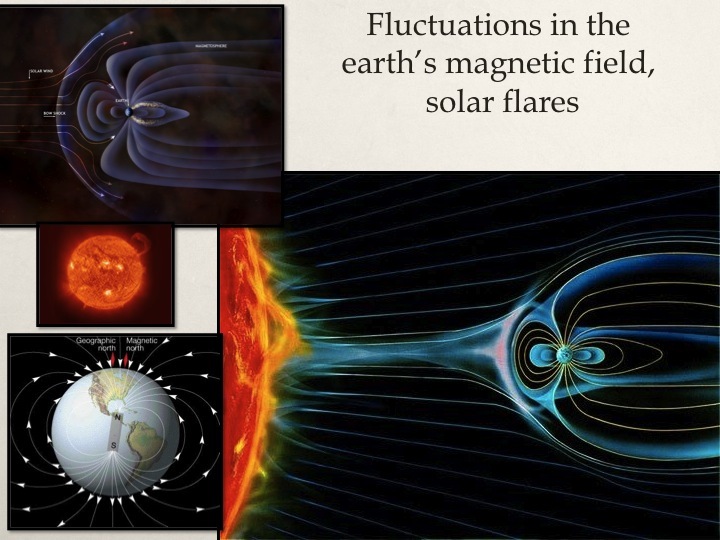 An often forgotten factor of the Earth’s climate is the relationship between our magnetic core of the planet and the solar flares that are constantly bombarding the Planet. 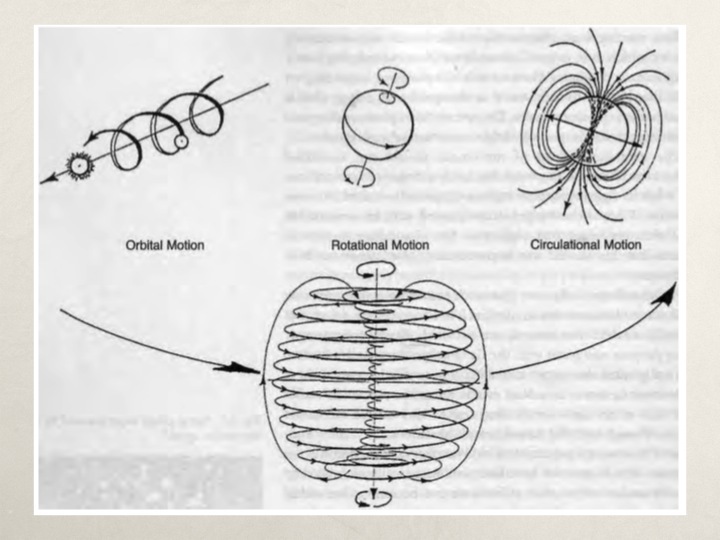 In order to deal with such intense radiation, our Planet creatively designed a “force field”, so to speak, for the incoming energies to be able to deflect the intense storms from the sun. These storms are of unimaginable power and have even been known to break down telecommunications systems. 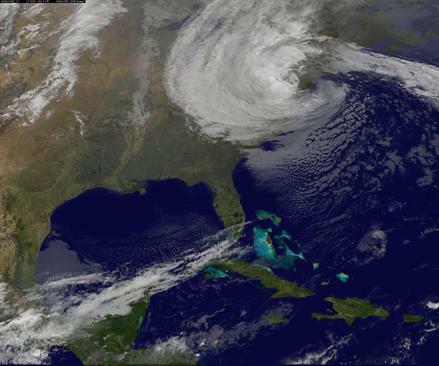 Our climate is impacted by these storms and of course our polar magnets. In combination, all of these factors have contributed to the creation of a mosaic that we can see below. While complex, it is a series of interconnected factors that adjust to create a balance that helps create and maintain Earth’s planetary life systems. Patterns –both short and long– are fabricated in a way that gives resilience and feedback to its inhabitants. There is a chance that the Earth and the intelligence of the Universe is using humans to pump more greenhouse gases into the atmosphere because solar flares will be lessening. We simply don’t know. Bartholomew, A. (2003) Hidden Nature: The Startling Insights of Viktor Schauberger.